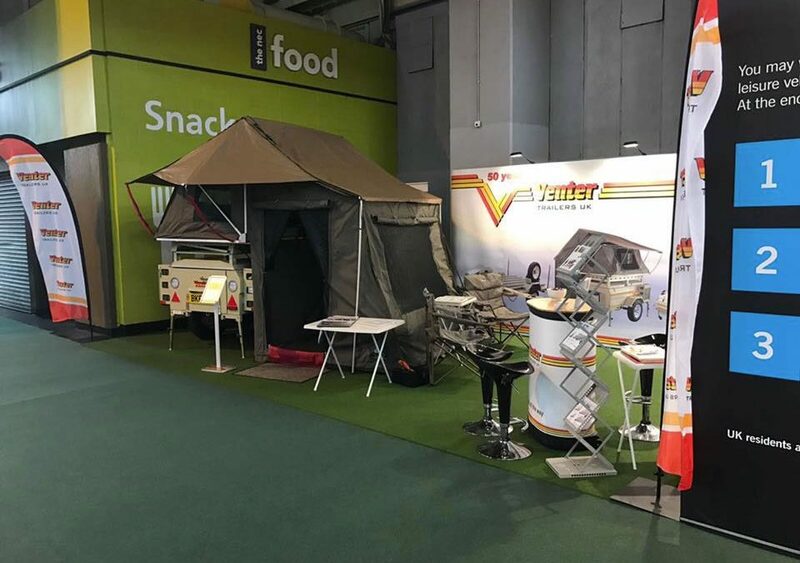 The Caravan and Camping Show 2017, Hall 2 Stand 2245, doors open at 10am, hope to see you all at the NEC in Birmingham, B40 1NT. And that’s a wrap for the Caravan and Camping Show 2017! What a fantastic week it has been, thank you to everyone for their support this week! Always remember, Venter Trailers, Behind you all the way! 2019 Shows – Come and see us!! 2018 Shows – Come and see us!! Call 01454 325109 to book.